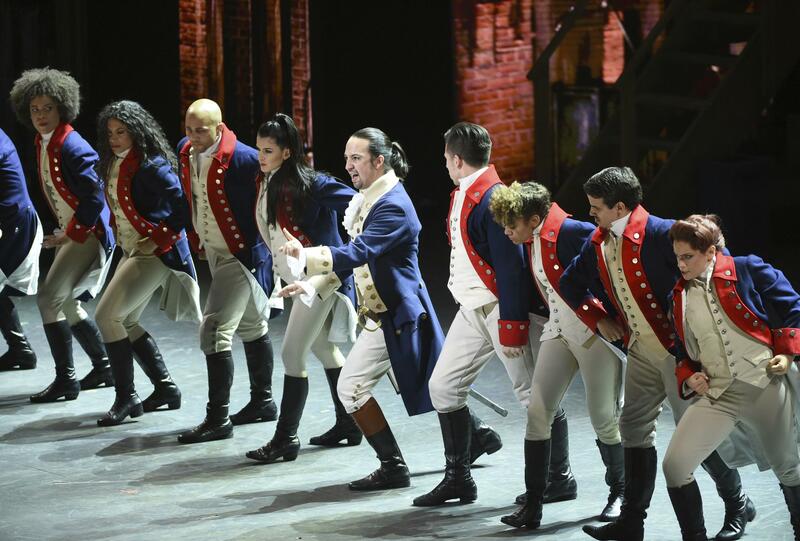 NEW YORK – Ever since the historical musical “Hamilton” began its march to near-universal infatuation, one group has noticeably withheld its applause – historians. Many academics argue the portrait of Alexander Hamilton, the star of our $10 bills, is a counterfeit. Now they’re escalating their fight. Ishmael Reed, who has been nominated twice for a National Book Award, has chosen to fight fire with fire – collecting his critique of Lin-Manuel Miranda’s acclaimed show into a play. Miranda’s glowing portrayal of a Hamilton who celebrates open borders – “Immigrants, we get the job done!” – and who denounces slavery has incensed everyone from professors at Harvard to the University of Houston to Rutgers . They argue that Miranda got Hamilton all wrong – the Founding Father wasn’t progressive at all, his actual role as a slave owner has been whitewashed and the pro-immigrant figure onstage hides the fact that he was, in fact, an anti-immigration elitist. Reed’s own play borrows from Charles Dickens in portraying a naive Miranda being visited by a succession of ghostly slaves, Native Americans and indentured servants – people Reed argues never made it into the Tony-, Grammy-, and Pulitzer-winning musical. “What I tried to do was to cover the voices that were not present onstage,” Reed said. Perhaps in a veiled response the critics, producers of “Hamilton” have created an immersive exhibit – to open in Chicago this fall – that promises to take “visitors deeper into the life and times” of Hamilton. How much it will try to correct the impressions made in the musical is unclear. “There’s room for my earlier commentary, Mr. Reed’s take, the grand musical itself, and now a good faith effort to consider the musical’s subject in his real-world historical context– which is what the exhibit Is designed to do,” she said. Published: Feb. 5, 2019, 3 p.m.